TD Bank,  based out of Cherry Hill, New Jersey, announced the appointment of Michael Innis-Thompson to SVP, Head of National Community Lending for the bank’s Residential Lending businesses. 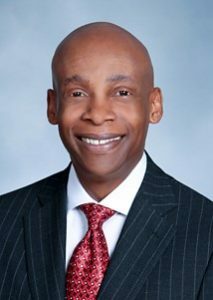 Innis-Thompson will oversee the strategy and development of the community mortgage sales process and expansion of product offerings catering to the TD Bank client base, as well as compliance with regulation in the mortgage lending space. As a 25-year mortgage banking professional, Innis-Thompson will leverage his experience in the development of community lending programs to support TD Bank’s lending strategy. He will also use his experience to build sales distribution and strategic partnerships, apply market analytics and support regulatory compliance to benefit the bank across business lines. He will be based in TD Bank’s Mt. Laurel, NJ office and report to Rick Bechtel, EVP, and Head of U.S. Residential Lending. Prior to joining TD Bank, Innis-Thompson served as Managing Director of Community Lending and Investor Relations for MUFG Union Bank. He has also held senior roles in compliance, business development, and product marketing for Wells Fargo, Bank of America, Fannie Mae and Freddie Mac. In addition to his professional experience, Innis-Thompson also serves organizations including the Asian Real Estate Association of America (AREAA), the National Association of Hispanic Real Estate Professionals (NAHREP), the National Association of Real Estate Brokers (NAREB) and the National Community Reinvestment Coalition (NCRC). He also serves on the Bankers Council and was Chairman of Community HousingWorks board from 2013 – 2017. Innis-Thompson holds a bachelor’s degree in Mathematics from Rutgers University.